UPDATED 7/11/18 7:25: To include news out on Wednesday that now both Register of Deeds candidates have suspended their campaigns. Longtime Hampden Register of Deeds Donald Ashe passed away Tuesday morning, ending an era and scrambling the ongoing race for his seat. A fixture of the Greater Springfield politics, Ashe, 83, was the last of his generation to hold one of Hampden County’s five remaining offices, outlasting formal county government itself. Ashe’s death was first reported by Masslive, which it with his son State Rep Brian Ashe. Though seeking reelection, Ashe, first elected in 1982, had attracted opposition in both the Democratic primary and the general election. Amid the grief and memorials, his passing obviously affects that race as well. Galvin, who oversees the state’s registers of deeds, appointed Kelly Cavanaugh-Kelly acting Hampden Register until the election. 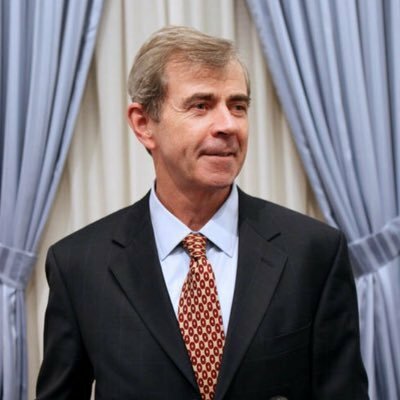 Galvin’s release said Cavanaugh-Kelly served as Ashe’s First Assistant Register and took office Tuesday morning. Registers of Deeds are elected by county, but, operate as units of state government. Ashe veered down the middle of the attention spectrum among his countywide peers. He was not a towering figure like former Sheriff Michael Ashe nor did his position necessarily engender scrutiny as William Bennett and the late Matthew Ryan did as district attorney. Yet, Ashe did not suffer from the near-anonymity Hampden registers of probate and clerks and courts experienced. That was reflected in remembrances which noted his annual St. Patrick’s Day party. Despite the prominence of the Irish in the region and its politics, it was among the few political events tied to the holiday but not the Holyoke parade. Pols praised his dedication and recognized his family including wife, Margaret, and children. Springfield Mayor Domenic Sarno remembered Ashe as a gentleman with a sense of humor. Others noted his contributions to the county and issues relevant to his office. Although the registers of deeds are more administrators than policymakers, many recalled Ashe as an effective manager. As Galvin alluded, Ashe kept his office modern. He also opened a Westfield satellite office. That relieved pressure in Springfield while offering residents of western Hampden County a more convenient option. Despite his age, Ashe had eagerly announced his reelection bid Angelides and Democrat Cheryl Coakley-Rivera challenges notwithstanding. “Contrary to any rumors or misconceptions, my name will be on the ballot and I will be campaigning for re-election,” he said in April. Consequently, politicos, both in public and in private alluded to a brief illness as the cause of his death. Given his long history and the county’s proclivity for incumbents, Ashe had been a favorite for reelection. His passing essentially turns the Democratic nomination over to Coakley-Rivera, an assistant court clerk in Hampden County and former state rep. However, for next two weeks, Coakley-Rivera said she was suspending her campaign out of respect for the late register’s family. “I would like to extend my deepest condolences to Mrs. Ashe and the entire Ashe family, including his son Brian with whom I served in the legislature,” Coakley-Rivera emailed. “May God bless them,” she added. If, as expected, she becomes the nominee, Coakley-Rivera will face off against Angelides, a Longmeadow Select Board Member, in November. It’s not clear if Ashe’s name will remain on the September 4 primary ballot. A spokesperson for Galvin, who oversees elections as well, declined to comment out of respect for Ashe’s family.